A workhorse room needs a workhorse piece of furniture, and I can’t think of anything that fits this bill better than a Hoosier cabinet! I received one as a gift from my aunt a few years ago, and it is probably my favorite piece of furniture! While it previously held swimsuits and pool supplies in our sun room, I decided we would get better use out of it in our office space. Having been somewhat outdoors a sun room, its condition needed some help. I wish i had the original “before” photo to show you, because it came to us green. And not a good green, if you know what I mean. The first thing I did was prime it, but I never got around to switching out the hardware or actually, you know, painting it. Since I had some great hardware picked out from Hickory Hardware, I went ahead and filled in the old holes with wood putty to make room for the new ones. 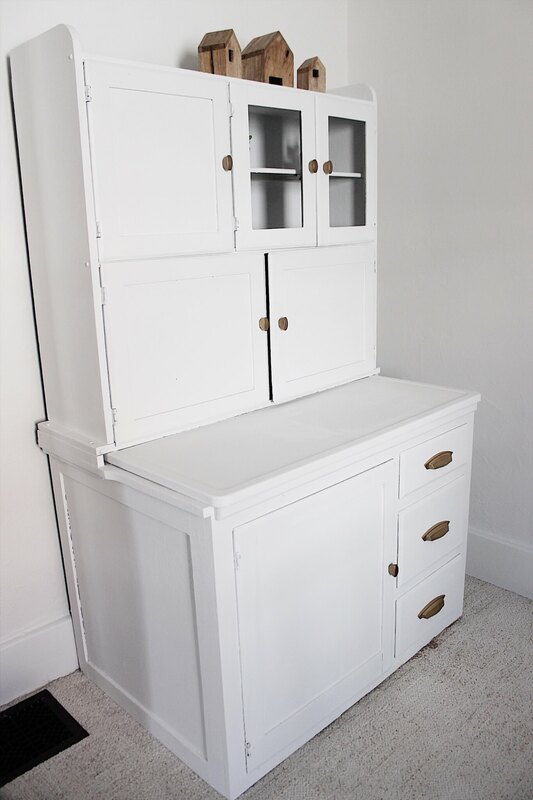 Then it was time to finally, finally paint this beautiful beast, and get this Hoosier cabinet makeover started! I used my favorite chalk paint to bring it home. The paint is Rustoleum Chalked Paint in Linen White. It is a pretty true white color with just a hint of gray undertones. Forgive the poor lighting in this room, but doesn’t that look better?! so crisp and fresh and white! 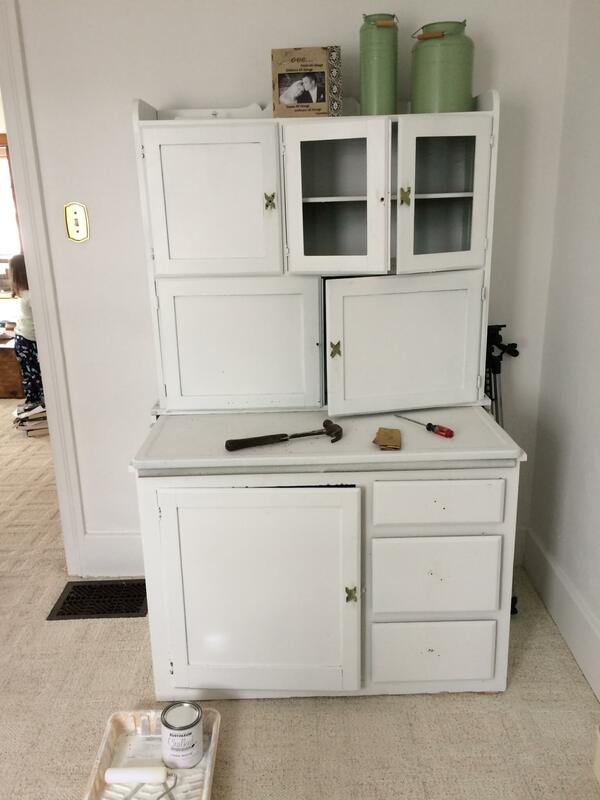 I think what really makes this Hoosier cabinet makeover complete, though, is the hardware! I took a risk when picking out hardware for this piece, and went totally modern. Pretty, right?! 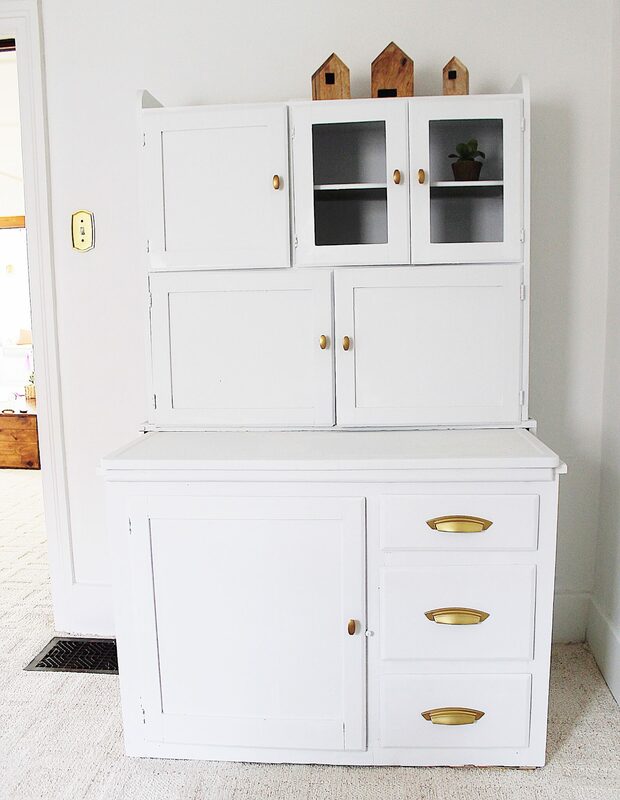 And even though it feels fresh and modern, my aunt also said the pulls look a lot like what was originally on the cabinet decades ago! I think choosing a more modern color/style of hardware on an antique piece is a really easy way to get a fresh, unexpected twist that makes a great impression. You can find the ones I used here. I love being able to work with and introduce you guys to such awesome companies. I have actually purchased hardware from them myself for another project I can’t wait to show you guys!! They make just about every style of hardware you could ever want or imagine!!! 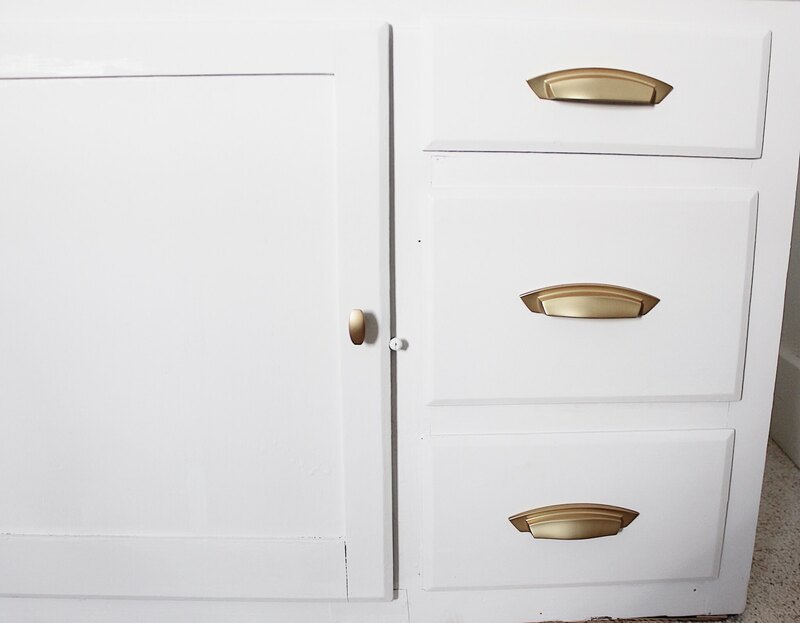 So what do you guys think of our Hoosier cabinet makeover?! I doubt our office will be finished any time soon, but it feels so good to have our big storage piece in place!